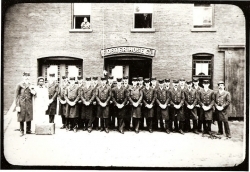 The first fire department in the village was Foster Hose Co. and was located at the Water Cure of Dr. Henry Foster. As his first buildings were constructed of wood, it was a necessity for him to do all in his power to protect his investment and above all look after the safety of his patrons. In July, 1883, it was decided to organize a fire company on account of several fires in our village, and practically no fire protection. 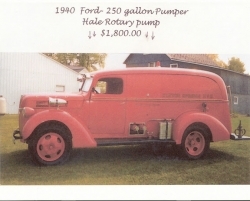 At that time there was not a village water works, and the Sanitarium depended on a pump in the laundry and water from the pond in the park, which, during some seasons of the year, was not a large supply. At this time the Sanitarium had about 300 ft. of leather hose, which hung on a peg in the carpenter shop, and about three hydrants surrounding the buildings. This constituted all the protection the Sanitarium had. Fire was one of the great worries of Dr. Foster, and on windy night many times he had been seen patrolling halls and buildings fearing that someone might carelessly leave a gas jet lighted near a door or something else might start a fire. On July 26, 1883, a meeting of the employees was called in the smoking room, which is now a part of the machine shop. 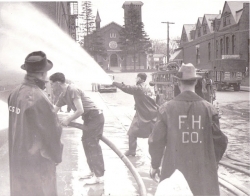 Foster Hose Company was formed with the following officers: Patrick O'Sullivan, President; Frank Van Dyne, Sr. Vice President; Charles M. Redfield, Secretary; Leonard D. Fischer, Foreman; John Hanlon, Assistant Foreman and W. P. O'Neil, Drill Masters. The trustees were Dr. Henry Foster, C. L. Judd and C. B. Linton. Dr. Foster presented the company with a hose cart and the hose was taken off the peg and put on the hose cart. 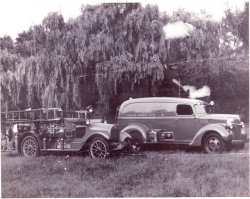 The first firemen's parade in Clifton Springs was held the following September with thirty men drawing the two wheel cart and Abe Cook with the feather duster bringing up the rear. (The feather duster must have been to see that everything looked in A1 shape!) 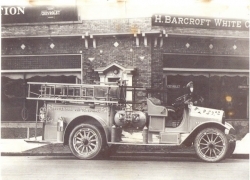 Three years later (1886), Dr. Foster purchased a very fine parade carriage for the Foster Hose Co. which the company prized very highly and was used in all our parades up until 1920 when a motor truck was purchased by popular subscription, the Sanitarium Co. making up the balance of the cost. In a few years more it will probably be replaced with more modern equipment, as the Foster Hose Company, like the Sanitarium, is progressive." 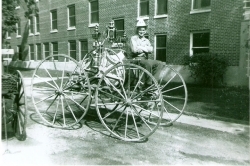 Dr. Foster stepped forward in 1883 and gathering his valued employees around him organized the first official fire department in Clifton Springs, there were to follow several fire units in the village itself following the installation of village water lines in 1896. Among these were the Hook Ladder Co., The Protectives and Winona Hose. After many years all the fire departments were united into the Clifton Springs Fire Department in 1954. The department has evolved even more since 1954 with the addition of a second station in our non hydranted area of Orleans to the constant upgrade and replacements of all of its Fire Equipment. 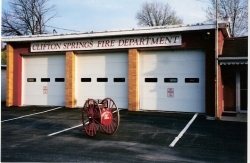 The Clifton Springs Fire District now encompasses all of the Village of Clifton Springs along with portions of the Towns of Phelps, Manchester and Hopewell. The Officers and Members of the Clifton Springs Fire Department are fully committed to providing Fire/Rescue and EMS protection to our residences. 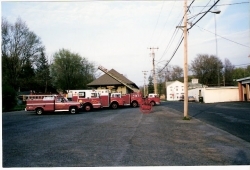 During the late 90's a need was noticed for a modern firehouse to address the increasing size of the fire district and fire trucks. 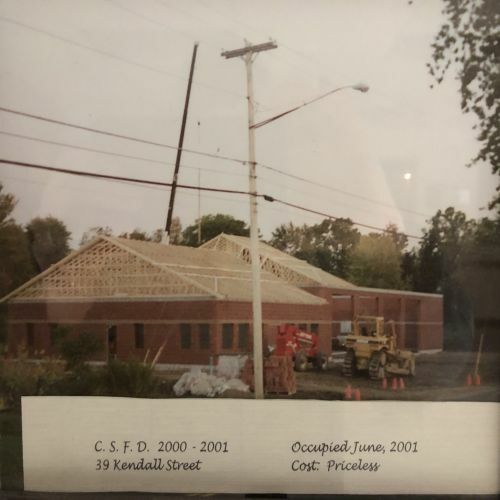 In mid-2000, construction began on a new firehouse located at the department's current location of 39 Kendall Street. In June of 2001, the department moved into the new fire house.